Fringe: Darling don't be afraid, I have loved you for a thousand years . Lost: Jack&Kate video based on the series finale. Lost: Miles sets Sawyer & Piper up on a blind date. They fall in love and have a baby. During the course of their relationship they endure obstacles such as the death of Phoebe, Piper's little sister, and Sawyer's parents' murder. Lost: This is just based around Charlie's quote from the Sideways world. 6x11 Spoilers! Lost: Its just a short Sawyer and Kate season 5 video. Enjoy!! 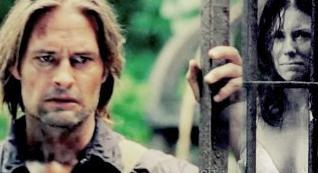 Lost: Sawyer doesn't believe he is good enough to be with Claire.